Sesame seeds add a nutty taste and a delicate, almost invisible, crunch to many Asian dishes. The black and darker coloured sesame seeds are mostly produced in China. Black sesame seeds are more flavorful and have a stronger aroma than white or brown sesame seeds. 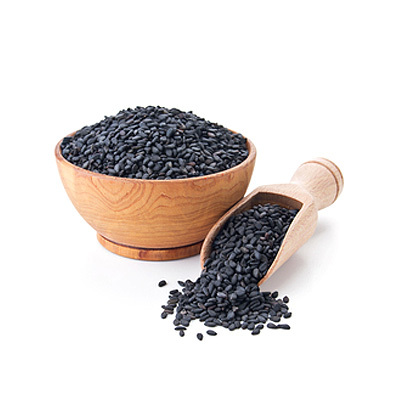 Toasting black sesame seeds releases beneficial chemicals as well as enhancing the flavor. Sesame butter, also known as 'tahini', is a paste which resembles peanut butter. Tahini is made from ground, hulled sesame seeds and is used in Hummus and other Middle Eastern and Asian dishes.